My collections of smart recipes are focused around particular topics, such as food celebrations or particular types of ingredients. For example, our national salad month theme includes numerous recipes for salads as well as a selection of hand-picked vinaigrettes and dressings. These collections can be a great way to find new recipes you’ll love and at the same time expand both your food knowledge and palate. Spring is in the air and it is time to consider tasty dishes loaded with the bounty of the season! I have gathered some of my best recipes featuring fresh produce and tons of flavor. Savor a bowl of my Spring Onion Soup or a slice of zesty Spinach & Mushroom Quiche. Your family will love my Spring Chicken Ragu on a mound of pasta! From jovial biergartens of Germany to quaint British pubs, my Beer-Forward Menu offers a generous sampling of recipes for your pleasure! Try the savory Beer & Pastrami Sandwich with a few Beer-Batter Hush Puppies. 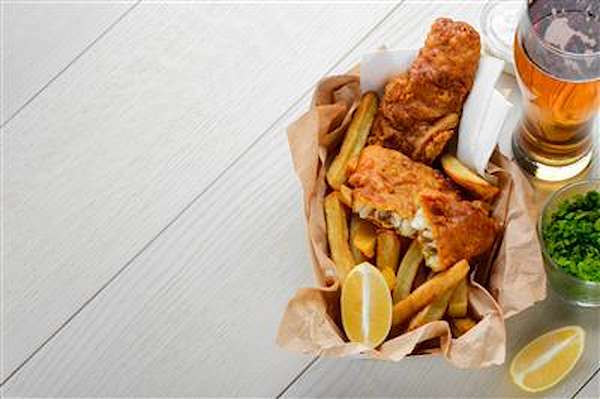 My Fish & Chips is a British classic that pairs deliciously with Pub-Style Mac & Cheese or Oktoberfest Apple & Cheese Soup. It’s a boozy salute to our European neighbors! I have searched the Seven Seas to find quick & easy recipes for some of your favorite seafood classics! 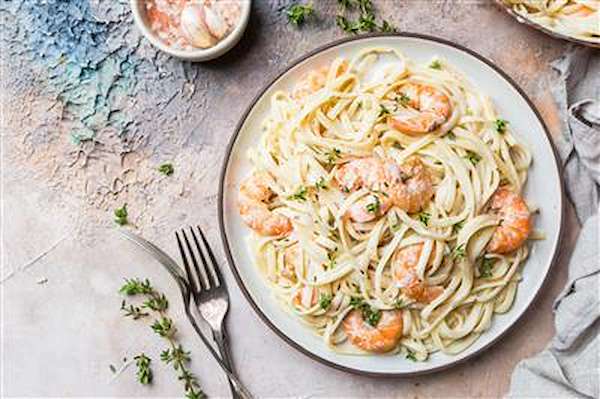 Whether you crave shellfish dishes like succulent Lobster Mac & Cheese or savory Fried Linguine, you will find the fresh catch of the day in this recipe collection. Could you imagine some of your favorite foods without sauces or condiments? March is National Sauce Month and I am sharing some of my best & tastiest sauce recipes that I know you will love! From zesty adobo sauce, authentic Greek tzatziki, to spicy Creole mustard, this collection will build your repertoire of delicious sauces for any occasion. 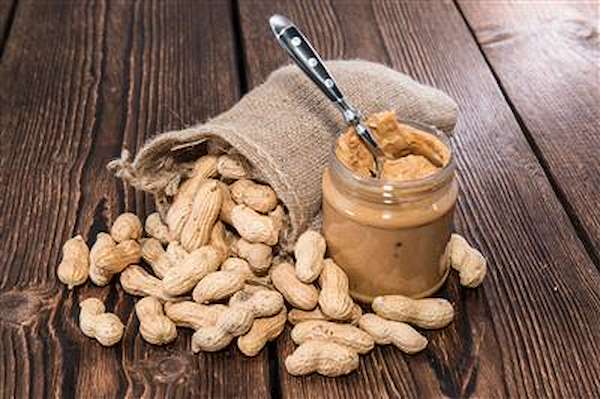 Although peanuts are legumes and not true nuts, they are still considered one of the world’s favorite “nuts”. Since March is National Peanut Month, I have gathered some of my best globally-inspired peanut recipes for you to try. From hearty Mexican Chicken Mole to savory West African Peanut Stew, to an All-American Pan-Fried Peanut Butter & Apple Sammy, the peanut reigns supreme! March is National Noodle Month and you can celebrate deliciously with my quick & easy noodle-forward recipes! 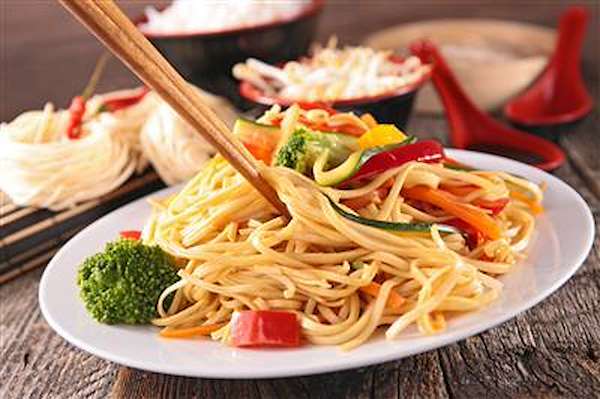 Enjoy international flavors with a Singapore Noodle dish or a comforting Jewish noodle kugel. From Hawaiian Pasta Salad to zesty Mushroom Orzo or Rotisserie Chicken Casserole, your family can have oodles of noodles for any meal! 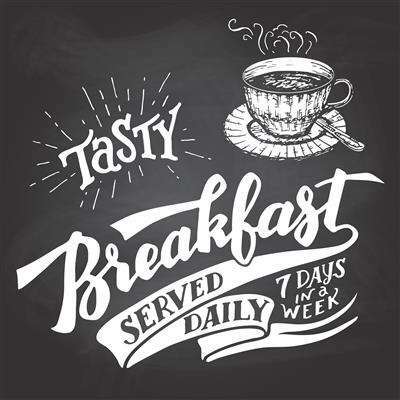 If your mornings are chaotic and you are tired of serving sugar-laden cereals for breakfast, have hope! My smart breakfast recipes are quick, easy to make, and provide your family with warm, yummy options. Here are some of my favorite hot breakfast ideas that you can create in a snap! Just because you want to maintain a healthy diet & lifestyle does not mean you must give up snacking! Making some of your favorite snack foods from scratch allows you to forgo chemical additives & preservatives. Homemade treats are far superior to the ones in the supermarket. Try my fun & delicious snack recipes and feel good about snacking again! 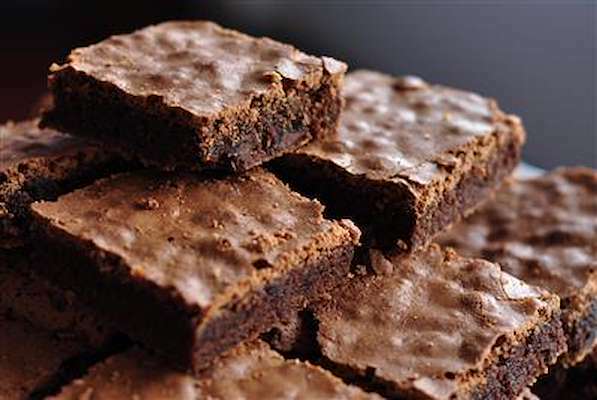 Celebrate National Baking Month this January with some of my tempting baking recipes! They are not hard to make and require simple ingredients you have in the pantry. Baking cookies and other yummy desserts are an ideal way to teach kids basic culinary skills. 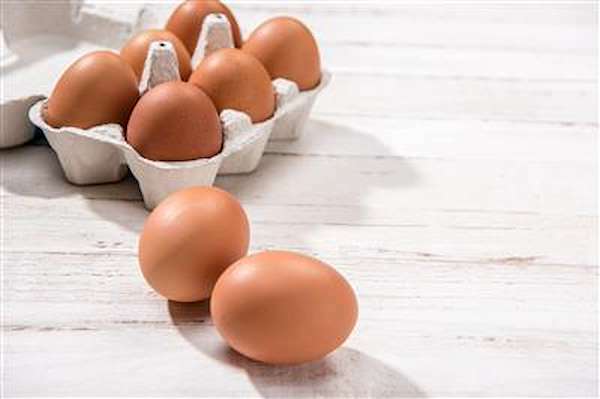 Eggs are one of nature’s perfect foods because they are tasty, versatile, inexpensive and full of nutrients. They can stand alone as a scrumptious dish or as a leavening agent for baked goods. If your family are egg fans, you will want to try my unique collection of egg-forward recipes. From savory deviled eggs to classic Eggs Benedict, these recipes will give you a new appreciation for the humble egg. 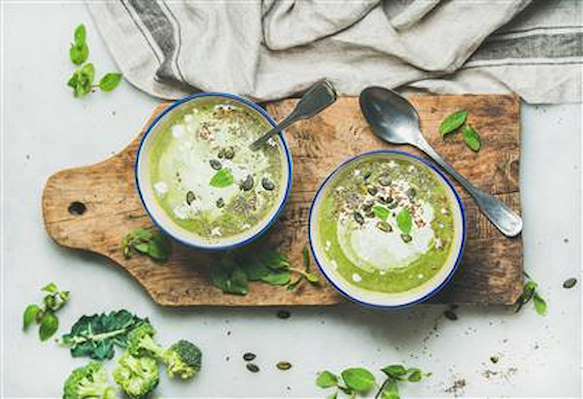 One of the earliest comfort foods developed was soup, which spread as unlimited flavors & varieties across the globe. Allow me to share some of my easy & tasty soup recipes for your consideration. They use common ingredients and are bursting with flavor. Soup feeds a lot of people and can be frozen in batches for another meal. When you are a busy parent, your slow cooker can be your best friend. Save time and enjoy delicious & nutritious meals with my simple slow cooker recipes. With common ingredients and minimal prep work, most of these dishes are one-pot dinners that your whole family will enjoy. Some of the recipes freeze well and can be defrosted for tasty meals on the quick. Bring home the bacon with my collection of easy & yummy bacon recipes! The precious pork product lends smoky goodness to savory recipes and a satisfying salty crunch to desserts. Enjoy all these bacon-forward dishes with your family and watch the smiles! Many beloved childhood memories were inspired by helping to make Christmas cookies. You probably have family recipes that have been handed down for generations. No matter the style, there is something about Christmas cookies that is comforting and make you smile. This holiday season, try some of my easy and tasty cookie recipes. They are sure to be added to your list of favorites. Remember to leave some for Santa! Eggnog is a cocktail and dessert in one glass! There is something about the rich, creamy froth and warm caramel-like spices that make the holidays brighter. Instead of buying a jug at the store this Christmas, why not try one of my quick & easy eggnog recipes? I have included a tasty recipe that is vegan-friendly. Raise a glass with friends and family and enjoy! One of the most iconic Christmas desserts is fruitcake. Delicious, homemade fruitcake is nothing like the tasteless bricks sold in the supermarket around December. Like traditional recipes, my versions are chock full of sweet dried fruit, crunchy nuts and a generous splash of rum for a moist texture. Try one of these fruitcake recipes as the highlight of your holiday dessert table. No matter the shape or flavor, cookies are ideal desserts and snacks. Since October is National Cookie Month, keep your cookie jar full with my scrumptious cookie recipes! They are easy to make and will keep your family smiling all month! Don’t forget the milk! What began as the Earl of Sandwich wanting a meal on the go has turned into an international passion for the humble sandwich. No matter how you stack them, sandwiches are a quick & easy way to turn your favorite bread and toppings into a scrumptious dish. Looking for new and creative ideas for a simple yet tasty dessert course, give these recipes a go. Each and everyone is delicious and sure to satisfy your sweetthooth. Let's admit it everyone loves stuffing. It is a timeless classic and in this recipe collection I explore some of the regional variations. Feel free to to try one or two this holiday season. Of all the delicious proteins you can choose for your meals, chicken may be one of the most economical. It can be prepared in just about any way imaginable and is a favorite in most global cuisines. 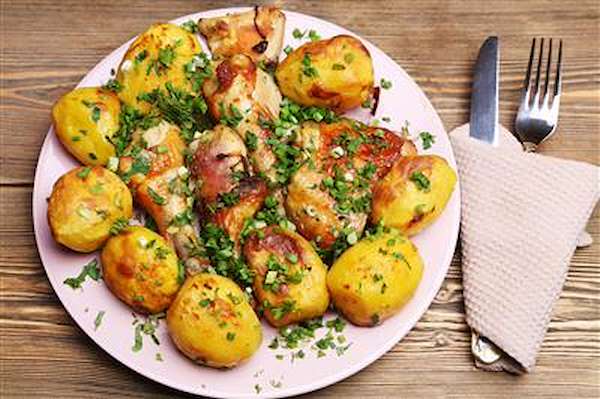 For a delightful detour from your usual meals, try some or all these easy & tasty chicken recipes. We have Kentucky thank for creating bourbon. When early distillers aged fiery corn liquor in charred oak barrels, the result was a warm, mellow spirit that is appreciated around the world. Bourbon is not just for delightful cocktails! 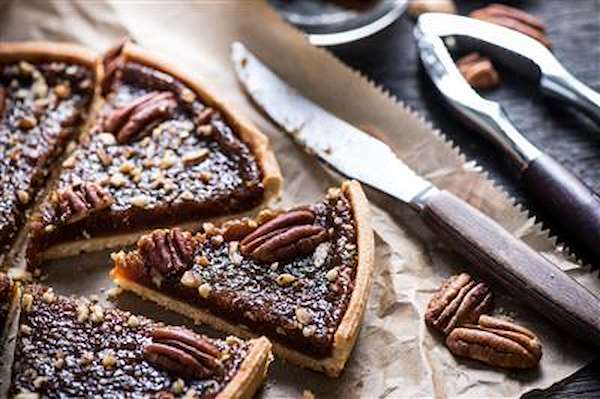 Try these easy recipes that infuse the smoky, complex flavor nuances of bourbon into the meat, soup, vinaigrettes or tempting chocolate desserts. Biscuits are an American classic that are instantly familiar, comforting, and delicious! These quick bread wonders are breakfast staples, especially in the South. Their tender, flaky goodness is ideal for melted butter or for sopping creamy gravy or tasty sauces. Elevate them with additional ingredients to create different flavors for any meal, such as the cheddar-thyme biscuits or chicken & biscuit pot pie. Beefy mushrooms are a satisfying way to add earthy flavor nuances and meaty texture to dishes without meat. Consider this delicious menu that features mushrooms as a key ingredient. They bring earthy flavor nuances to the recipes and are a healthy way to introduce your family to international cuisines. To celebrate National Hot & Spicy Day on August 19th, try this delicious menu that is packed with spicy flavor. Feel free to adjust the spices and heat to your family’s preference. Finish your feast with a cool and refreshing tropical syllabub! A panini press is an invaluable tool for creating mouthwatering grilled sandwiches. Panini ingredients are only limited to your culinary imagination. Try some of my elevated panini recipes for your family. They are quick, easy, and bursting with international flavors. Serve them with a fresh salad or homemade soup. If you don’t have a panini press, preheat a large cast-iron skillet and a smaller one over medium-high heat. Transfer 1 panini to large skillet and place small skillet on top. Grill the panini until bottom is golden brown, about 2 minutes. Flip the panini on other side, top with small skillet, and grill for another 2 minutes. Couldn’t be any easier or more delicious. Discover how delicious grilled brats, dogs, and sausages can be with internationally-inspired flavors. Try some of these exciting recipes for National Hot Dog Month. Remember all those scrumptious deli salads that were present at picnics and barbecues from your childhood? Taste the nostalgia with these updated classics. They are delicious as a side, and you can serve leftovers for a light lunch or yummy snack. Try some this July for National Deli Salad Month! Are you trying to get your family to eat more vegetables? National Eat Your Vegetables Day is June 17, and is an excellent opportunity to sample tasty veggie dishes. They can accompany meat, or be a scrumptious side dish. Your kids will love the Chocolate Muffin recipe, and will not even notice spinach as the secret ingredient! While salads were initially a mixture of greens and chopped veggies, anything goes in modern salads. 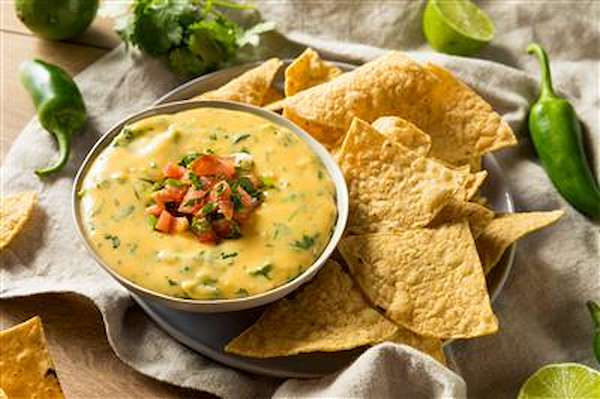 They can be a refreshing appetizer course, or have enough hearty ingredients to make a meal. Most cultures have unique salad recipes, served with a flavorful dressing with herbs and spices. The beauty of salads is that you can use any ingredient on hand to create a new dish. Here are some innovative salad recipes and dressings to try. Hamburgers are one of the most beloved sandwiches in America and have their own category in our cuisine. These delicious meat patties have also inspired our literature, art, and music. Everyone has their opinion on what toppings make the “perfect burger.” Although classic burger recipes use ground beef, innovative cooks from around the world put their own spin on the sandwich. Now, burger enthusiasts may find sensational recipes featuring different meats, savory spices, and globally-inspired toppings. 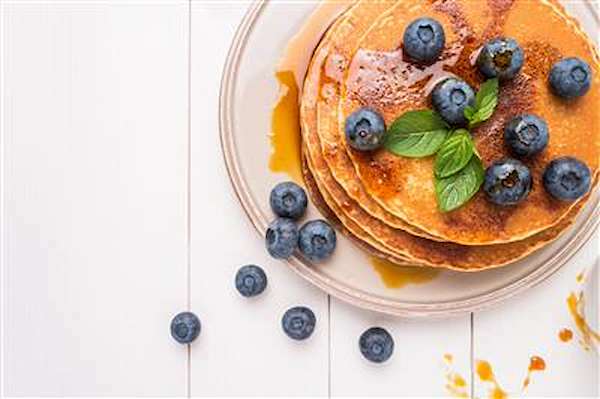 Some of these recipes share new cooking techniques, as well as tasty vegetarian/vegan-friendly options. Why try some for National Hamburger Month? The supermarket seems to be exploding with salad dressing selections these days, and it can be hard to know what to choose. Some may sound good, but they also cost a pretty penny and often contain sugar or chemical sweeteners that you just don't need. Why not make your own homemade salad dressings, many of which can be quickly whipped up with ingredients you probably already have in the house? A simple olive oil and mustard dressing gives the salad a tangy little kick, while a Middle Eastern salad dressing adds levels of exotic flavor. A balsamic marinade and salad dressing is a classic, as is a homemade Caesar dressing. Mayonnaise may be a simple ingredient – it is easy to pick up at the store to always have on hand. But making your own mayonnaise offers several benefits. For starters, you know you are making the mayonnaise with good ingredients and not those with a bunch of chemical preservatives or added sugar. Additionally, you can save yourself a few dollars on organic mayonnaise when you make it at home. However, the best part of making homemade mayonnaise and aioli are the many variations you can come up with. 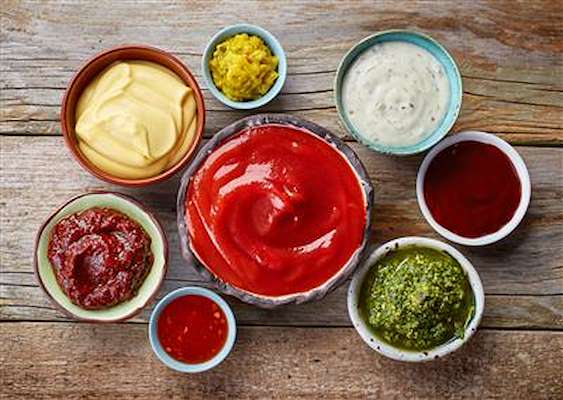 You can make flavorful condiments that cater to personal tastes – such as garlic aioli for garlic lovers, ginger and sriracha aioli for those who like a little kick, and even homemade tartar sauce for seafood fans to enjoy with their favorite dishes!